The observation and shooting guide of Flying Squirrel is a complete private guide. Either a single person or a couple. Depending on your circumstances and time, you can assemble plans according to your convenience, such as transportation to the airport and Obihiro station, animals and sightseeing that you want to see elsewhere. Even those who are worried about cold and worried about physical fitness can change the schedule at that time. For details, please do not hesitate to consult this email. 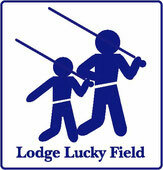 info@lodgeluckyfield.com.